For Android 4.0+ and later devices. 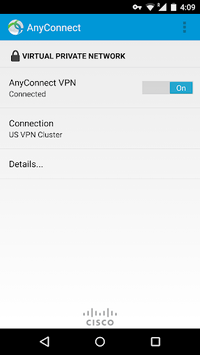 Connect to your network with AnyConnect. Published by Cisco Systems, Inc. 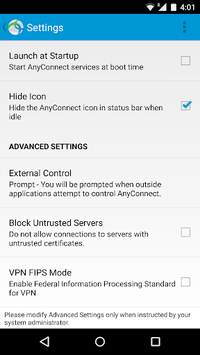 This package supports Android 4.X-8.X (ARM and Intel Android), but due to limitations with the Android VPN Framework, some AnyConnect features are not available. Report issues to [email protected] No TAC support for beta versions.